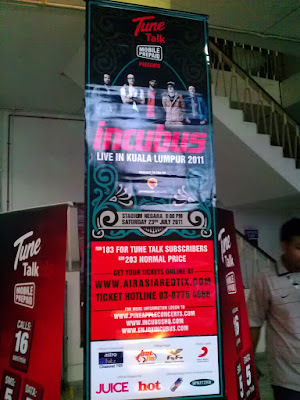 Can't help it, i was so excited when I found out i actually won the tickets to watch Incubus live in KL, a band that was there when i grew up, and i grew up listening to them. 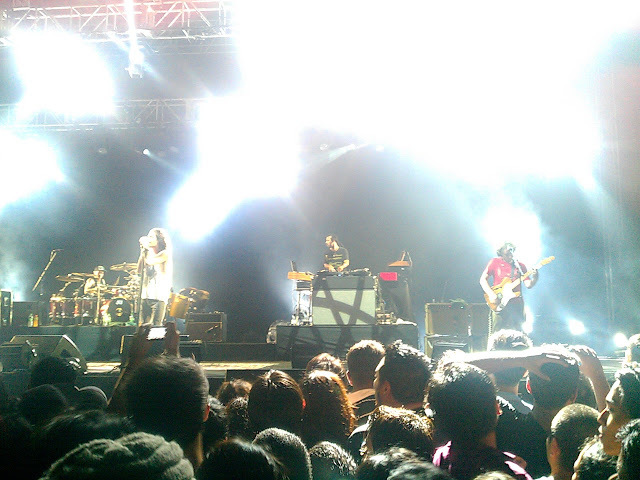 The classics were melodies to my soul. So i went to pick up the tickets at the Nuffnang office one day before the concert during lunch with Tony who drove me to the pick up point. 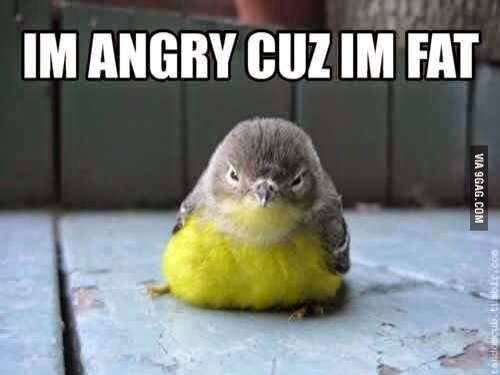 Curious to know how i got it? 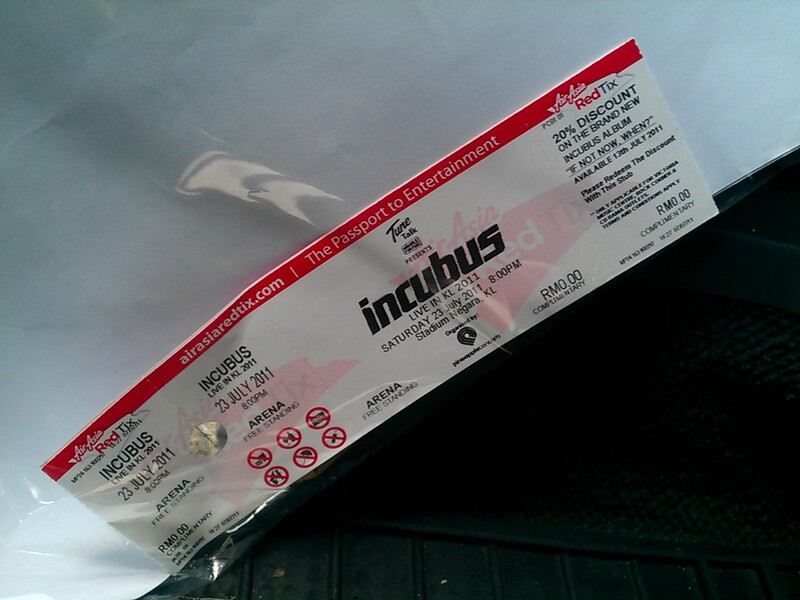 here is a link to my winning post. When the time come, i went to meet up with Tony and we set off to Stadium Negara where local band Rosevelt and Incubus will be rocking the stages. It didn't take long for us to reach as traffic was okay, and we parked slight further from the venue to avoid the after concert jams. 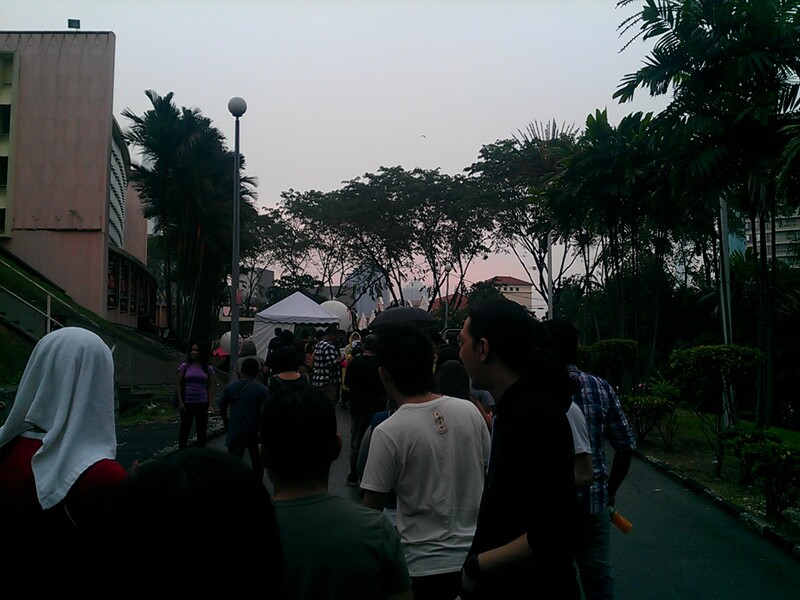 So we walked to the stadium and got in line to wait for the gates to open. We waited close to an hour before they actually let us in, usual inspections were conducted to ensure people don't get splashed or injured with water bottles and stuff. We were early so we got to get to the middle of the crowd even though the front was already packed (it's nice to be tall) we could see the stage clearly but the only annoying thing was this group of kids in front clearly did not understand what manners were, going in and out of their space as if everyone else was invisible. What got me more pissed off was that people started smoking after all, its a freaking 2 hour+ concert, you can't even wait for it to end pretty weak will and pathetic move in my opinion. The fly Fm djs came out to rev up the crowded for a great evening and the opening act was performed by Rosevelt a great local band. 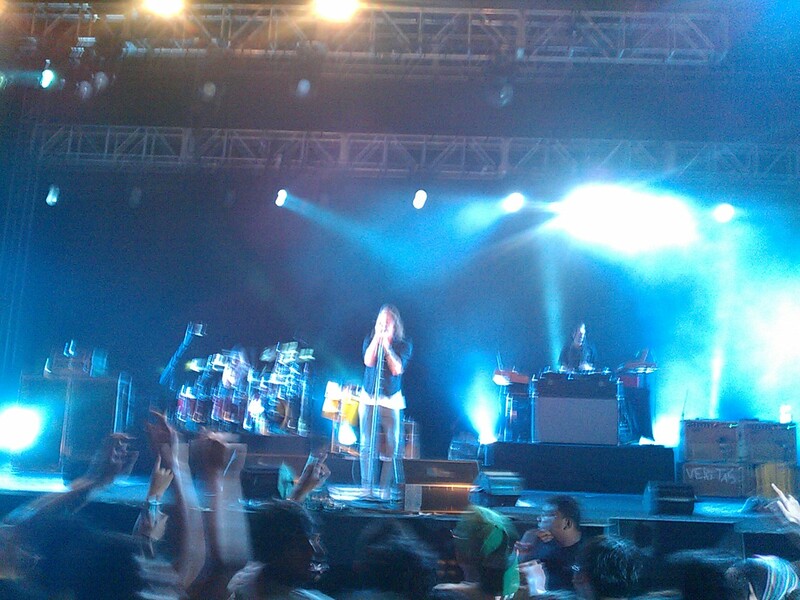 Rosevelt made the crowd go wild with their last song "politicS"
As the crowd cheered on for Incubus to come up on the stage, as i ready myself for a lot of shoving pushing and jumping around. 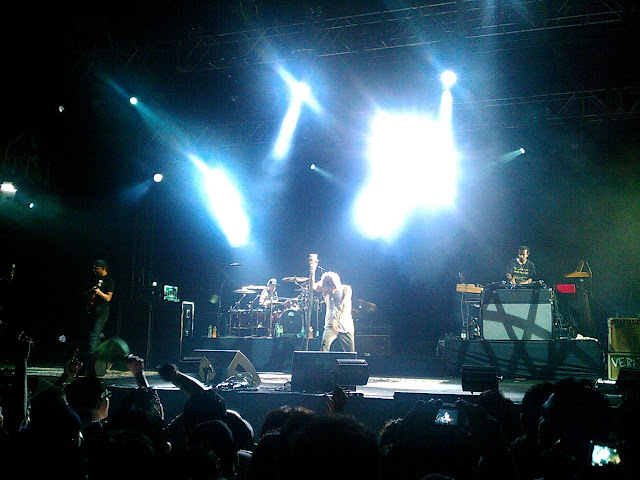 There was never a time which i could stand still at the beginning cause everyone rocked so hard we were shoving left to right and back again. The events that took place after the beginning was just rocking and more rocking. They sang a number their hits and songs from their latest album, they performed with great showmanship and the hype was crazy and hot. Freaking amazing time i had,there was this kid who lighted his fag during one of the song and was pissed , snatched the fag out of his hand and dumped it to the floor.He stared at me and i stared back , i also notice many were staring at him as well, stupid kid. 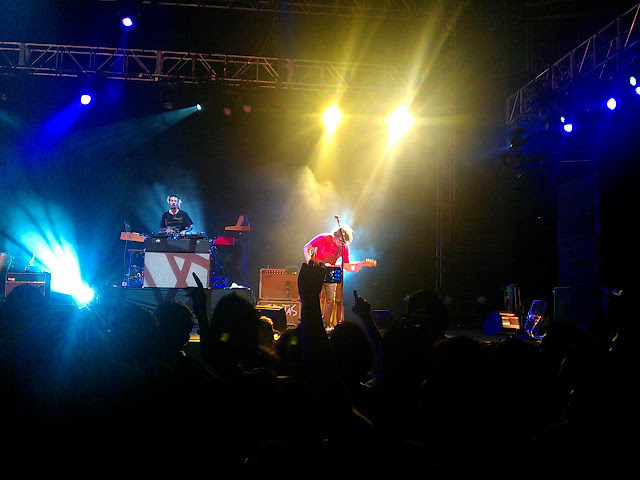 As the crowd disperse, the electrifying moment i experience were still tingling in my veins. 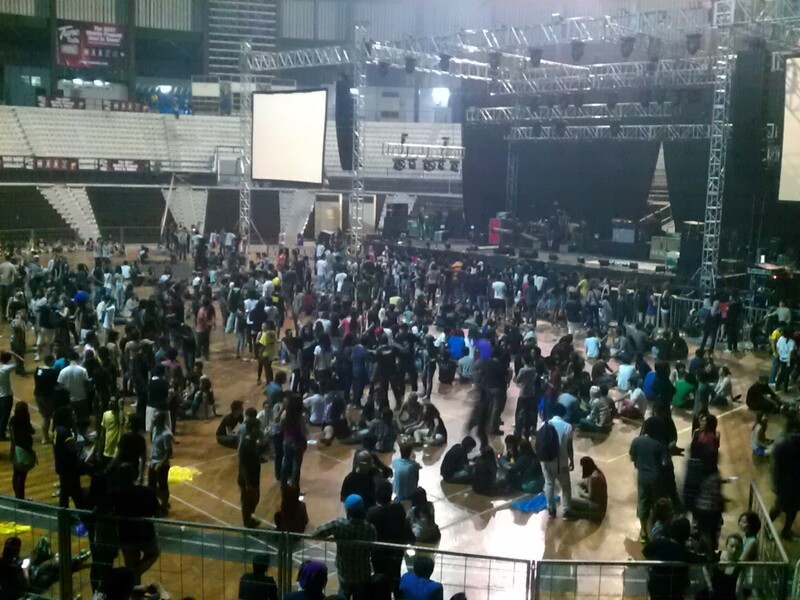 It took us a while to get out of the place though. 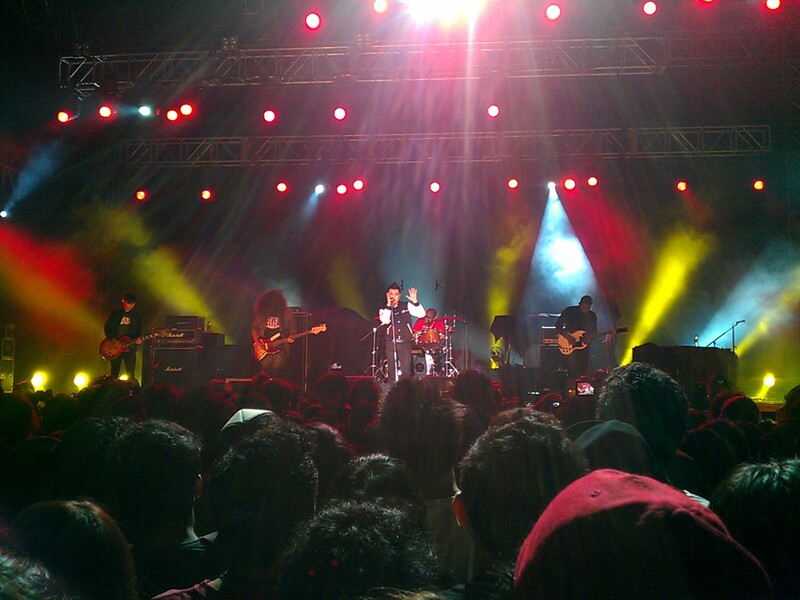 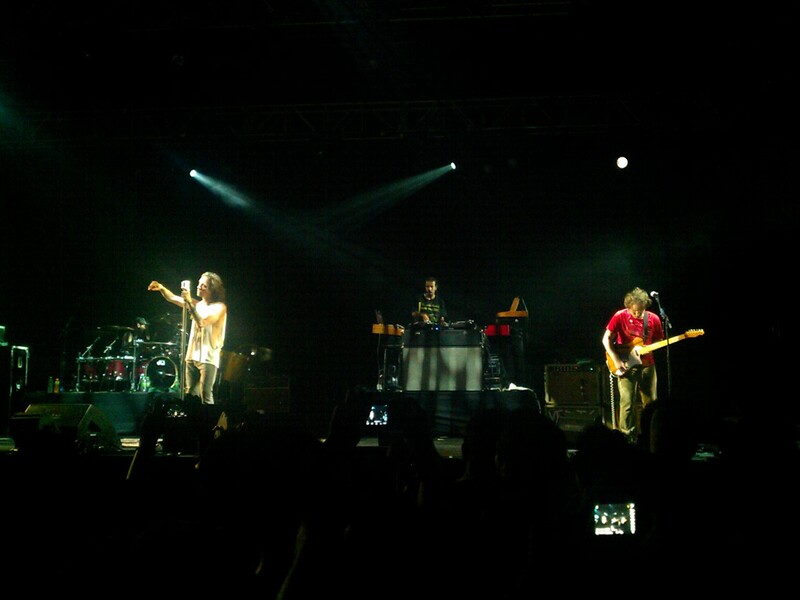 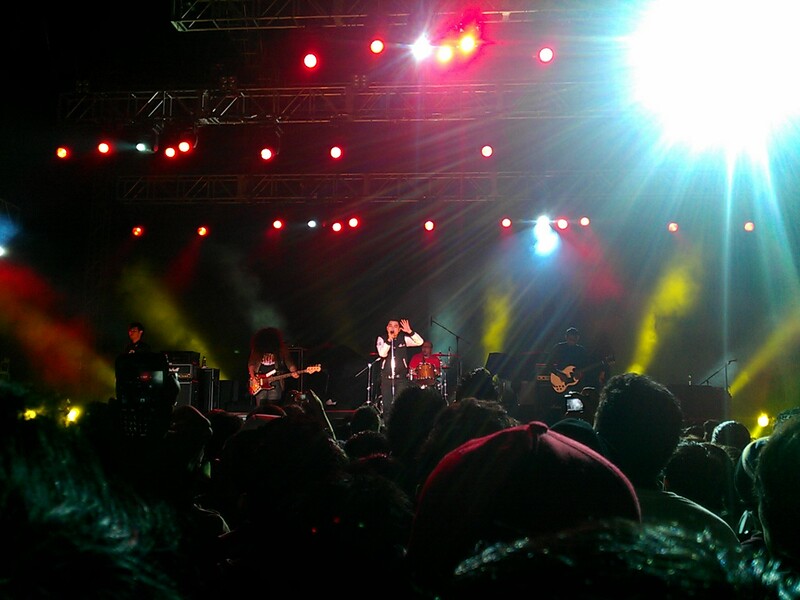 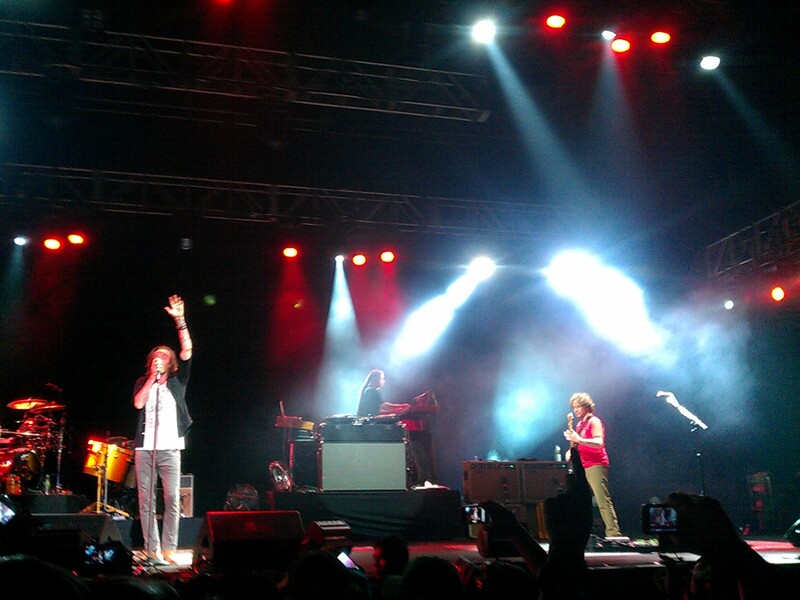 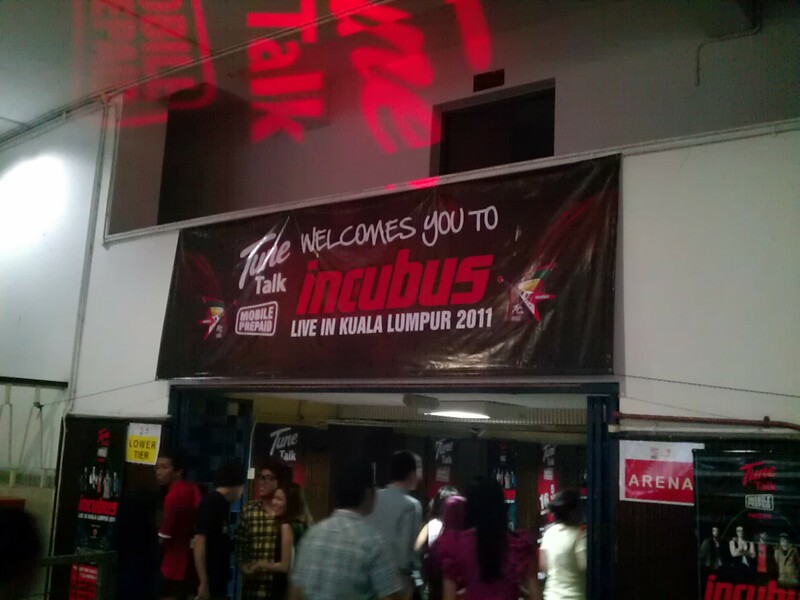 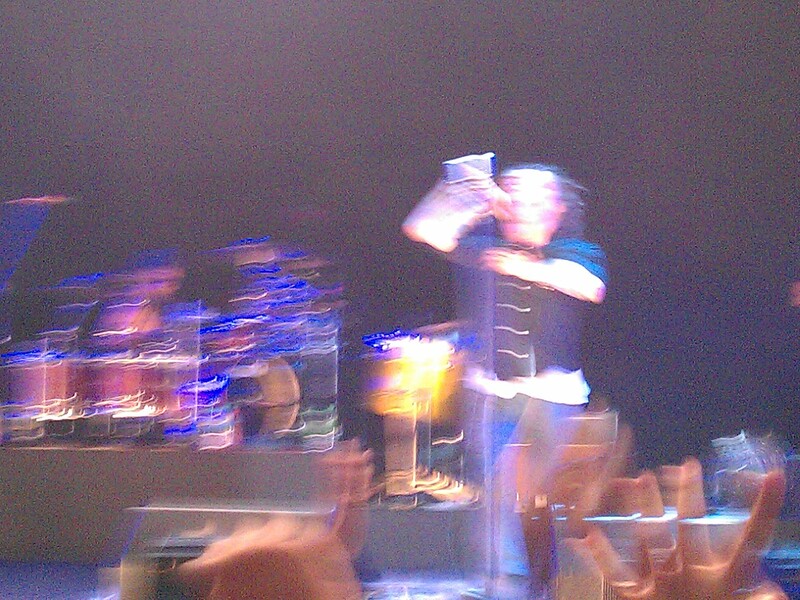 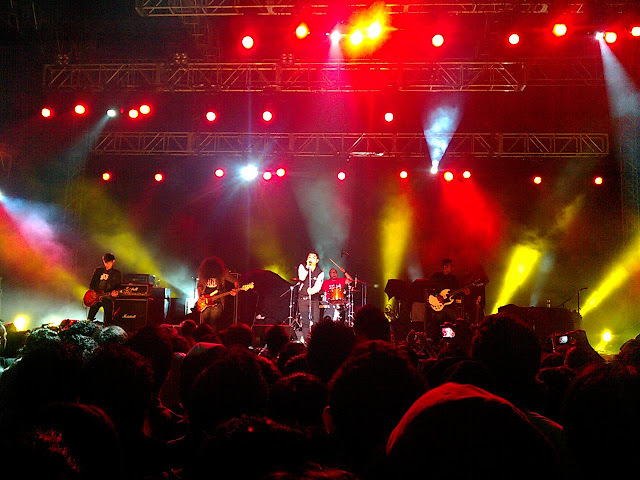 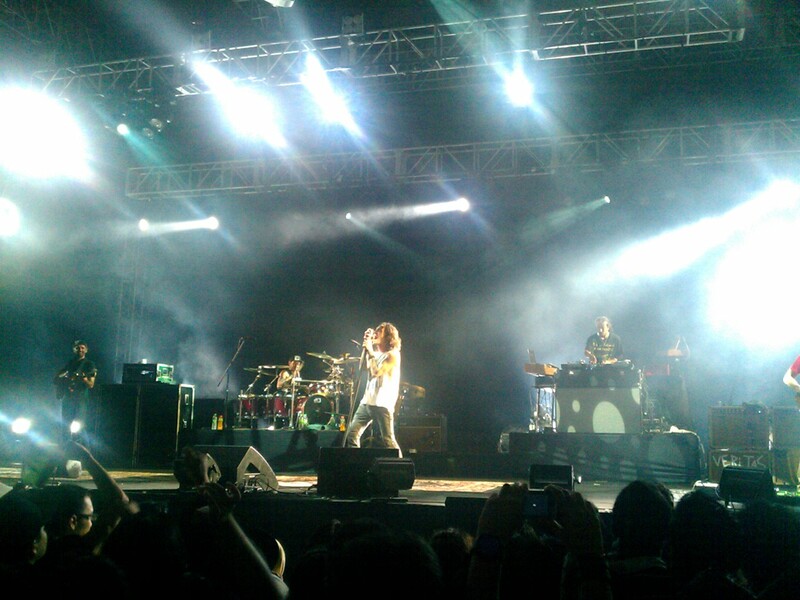 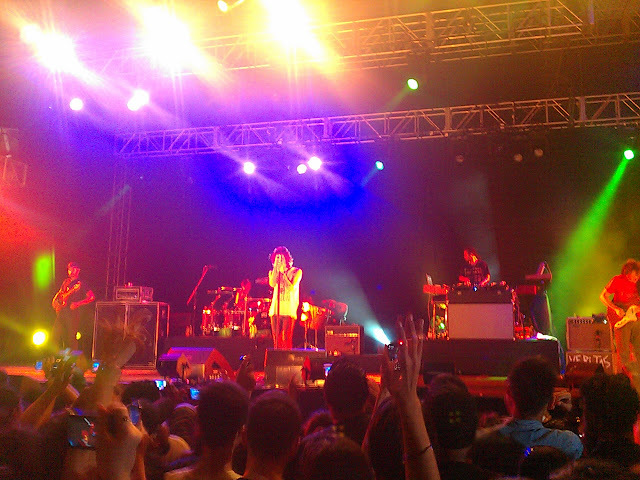 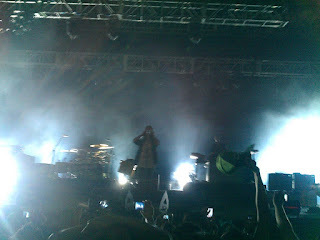 Thanks again to Nuffnang and Tunetalk for the tickets to awesome Incubus! 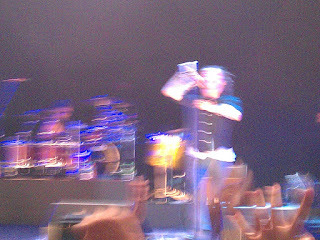 The photos were taken from my HTC DESIRE HD, full zoom and still looks pretty clear, such an awesome phone.